Today we launch the Writers Corner! 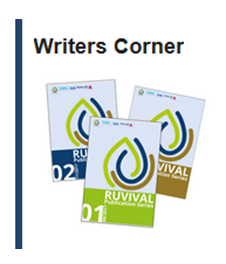 The Writers Corner participants meet in our forum RUVIVAL Community. Now you can be part of the publication process – be an editor and bring your ideas into the discussion. In the upcoming weeks working papers will be presented and each paper will have its own thread in the forum. 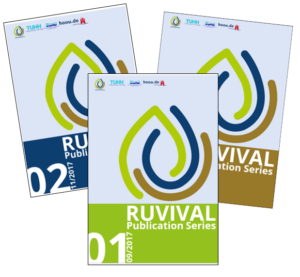 We will collect all comments, ideas and hints on the 5th of December 2018, so make sure your contributions are posted early enough to be considered by the authors for Volume 4 and 5 in the RUVIVAL Publication Series. Click here to open the category Writers Corner. 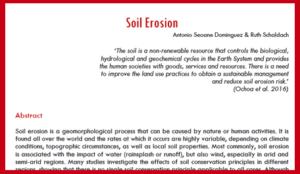 We will start to discuss literature reviews on Soil Erosion and Rural Energy Systems. 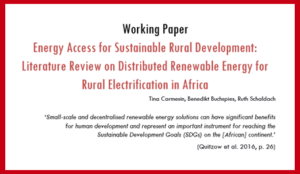 Click on an element below to read the literature review. Find more about the RUVIVAL Community here. Stay tuned as we will publish another new literature review next week!